March 2, 2017 | There were 11.7 million immigrants from Mexico living in the U.S. in 2014, and about half of them were in the country illegally, according to Pew Research Center estimates. 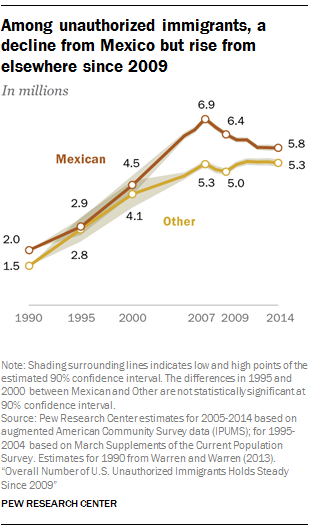 Mexico is the country’s largest source of immigrants, making up 28% of all U.S. immigrants. With President Donald Trump’s administration taking steps to reduce the number of unauthorized immigrants in the U.S. — including through the construction of a wall at the southern border — here’s what we know about illegal immigration from Mexico. Jens Manuel Krogstad is a writer/editor focusing on Hispanics, immigration and demographics at Pew Research Center. 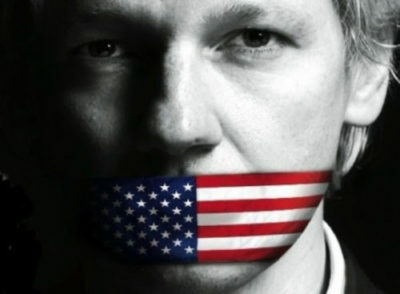 April 3rd, 2018 | In this letter, twenty-seven writers, journalists, film-makers, artists, academics, former intelligence officers and democrats call on the government of Ecuador to allow Julian Assange his right of freedom of speech. John Pilger is an internationally renowned investigative journalist and documentary filmmaker. His latest film is The War on Democracy. His most recent book is Freedom Next Time: Resisting the Empire (2006). It seems to me incredibly relevant that the communities likely to be subjected to discriminatory and arbitrary national security policies are black and brown communities … . That it seems that the rights of those individuals maybe don’t weigh quite as heavily as the rights of others, and that’s something we have to confront. Special Report | Killing Him While He's Dead; This Didn't Have to Happen. The problem isn’t that so many people are hurt and angry, the problem is that more aren’t. Adapted from remarks delivered at Stephon Clark’s funeral, March 29, in Sacramento, California. 03/31/2018 11:30 In the aftermath of the violent shooting death of Stephon Clark, I ― like many of you ― felt the same pain and outrage that I felt after the unwarranted murders of so many others. Some time after, I learned that Stephon was a Muslim. But as Malcolm said, black people aren’t brutalized in this country because they’re Baptist, Methodist, Muslim or Catholic, but because they’re black people in America. We cannot bring Stephon back from the dead, but we can make sure that his death is not in vain, that his family is loved and properly cared for, that justice is properly served, and that his memory is not slain as well. Omar Suleiman, Guest Writer, Huffington Post, is an American Muslim Scholar and Civil Rights Leader. He is the president of the Yaqeen Institute for Islamic Research, and a Professor of Islamic Studies at Southern Methodist University. 03/22/2018 | Twenty times. Sacramento Police officers shot Stephon Clark, a young black man, 20 times on Sunday night in his own backyard, while his grandparents and little sister sat inside the house. Les Simmons, Guest Writer, Huffington Post, is a pastor at South Sacramento Christian Center and director of the Simmons Center and Valley Hi Black Child Legacy Campaign. He is a board member of Sacramento ACT, part of the PICO California network working with Live Free on the H.E.A.T. strategy to build mutual trust between community and law enforcement. Read more about Special Report | Killing Him While He's Dead; This Didn't Have to Happen. January 12, 2018 | Although he has not yet imposed any explicit cuts, on January 11, the Trump administration took another step toward undercutting these essential social programs: It issued guidance allowing states to impose work requirements on Medicaid beneficiaries. This staggering and unprecedented change in health-care policy is expected to adversely affect millions of people in the United States, particularly those with disabilities. January 3, 2018 | Everyone knows being a parent is hard. But parenting a disabled child carries challenges you don't expect. January 10, 2018 | | Disability activists are at the forefront of direct action against Trump. Attorney General Sessions is rescinding several guidance documents clarifying the implications of the Americans with Disabilities Act. Read more about Disability activists are at the forefront of direct action against Trump. Part 3: Trump does seem to be making an effort to intensify his immigration policies. 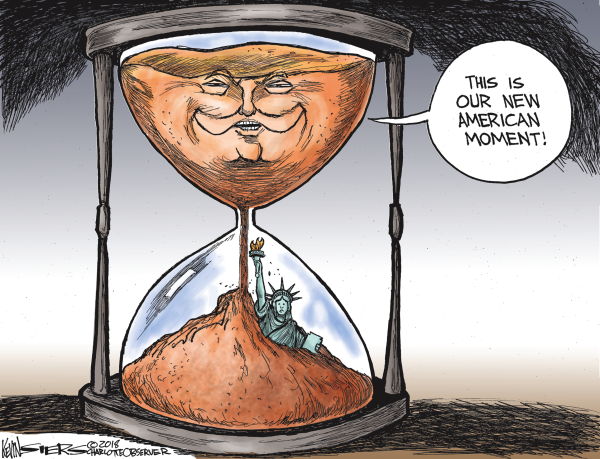 On Oct. 8, he released a list of priorities that include hiring more ICE agents, cracking down on visa overstays and sanctuary cities, building a border wall, facilitating deportation of unaccompanied minors and asylum seekers, and shifting to a "merit-based" immigration system. Related: Demanding a Clean DACA Bill, Now! Nov 2, 2017 | To the alarm of immigrant rights groups, President Donald Trump has spent the first months of his presidency putting his anti-immigrant campaign promises into action. Maria Benevento is an NCR Bertelsen intern. While undocumented immigrants and their allies continue to organize against the racist Trump administration and complicit Republican leaders, Democratic leaders, who depend on the Latina/o vote, have failed miserably. Feb 15, 2018 | On Thursday, the House of Representatives voted 225 to 192 in favor of a bill that would significantly weaken the landmark Americans with Disabilities Act and let businesses off the hook for failing to provide accommodations for accessibility. Casey Quinlan is a policy reporter at ThinkProgress covering economic policy and civil rights issues. January 4, 2018 | Attorney General Jeff Sessions said he’s rescinding more than two dozen guidance documents including several clarifying the implications of the Americans with Disabilities Act. Michelle Diament is a seasoned journalist whose work has appeared in People, AARP, The Washington Post Magazine, The Chronicle of Higher Education and Gannett News Service. As the sibling of an adult with autism, Diament is no stranger to the world of disability issues.